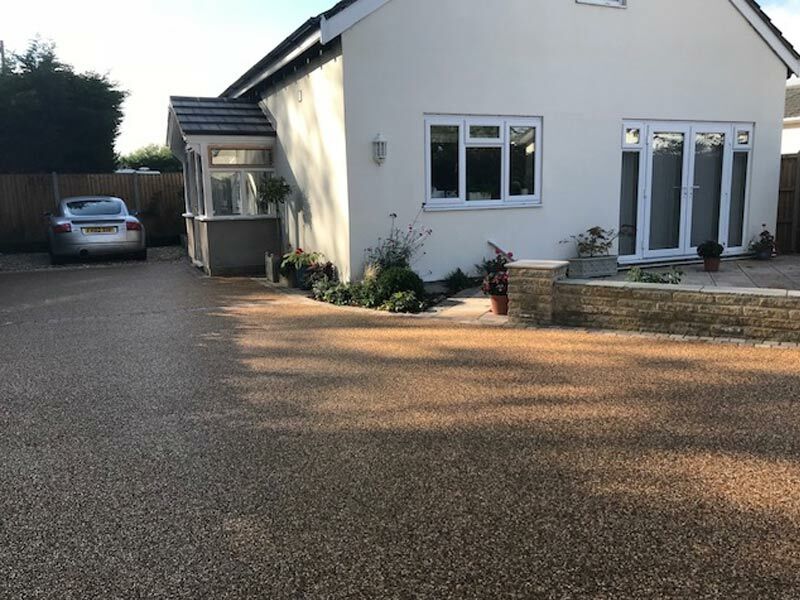 A lovely resin bound finish laid at 18mm in Gloucester. 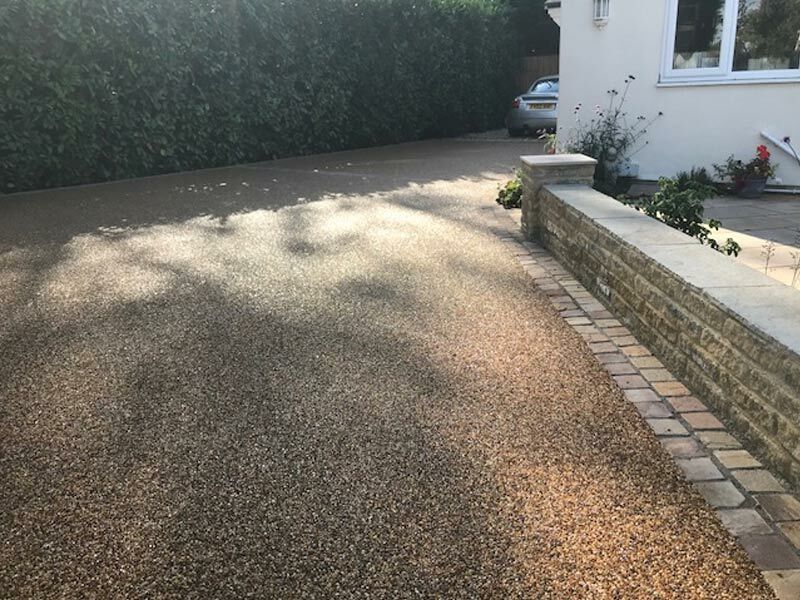 The garden and driveway has gone through a complete transformation this summer, finishing it all off with the resin bound drive. We used a new stone to us – a 2-6mm aggregate Dobsweir Yellow, which looked fantastic. 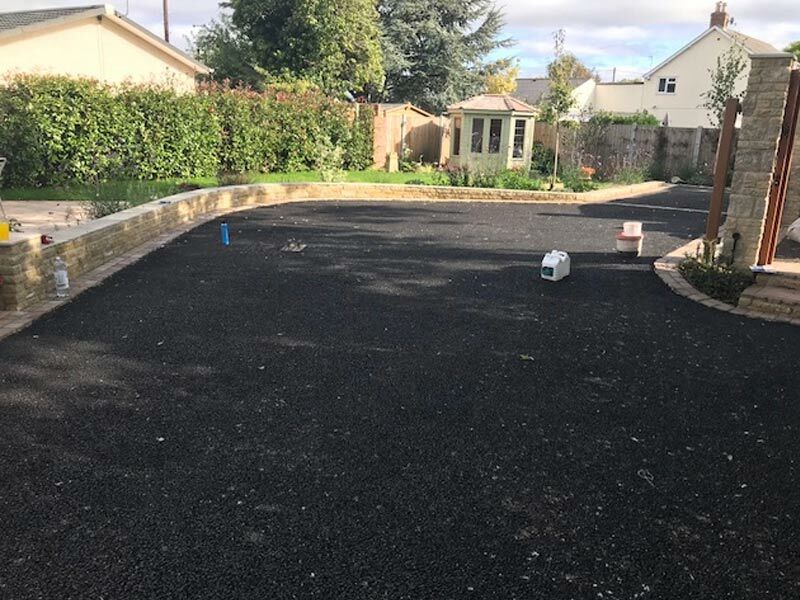 This 120m2 resin drive was easily finished within 1 day.